According to the latest reports on Foreign Direct Investment (FDI), it has been revealed that India has cleared the FDI mark of $300 billion between April 2000 and September 2016 and has firmly set its credentials as one of the safest investment destinations in the world. Taking the advantage of India’s double taxation avoidance treaty with Mauritius, FDI worth $ 101.76 billion has been received through the island nation between this period which is nearly 30 per cent of the total inflow of $310.26 billion. 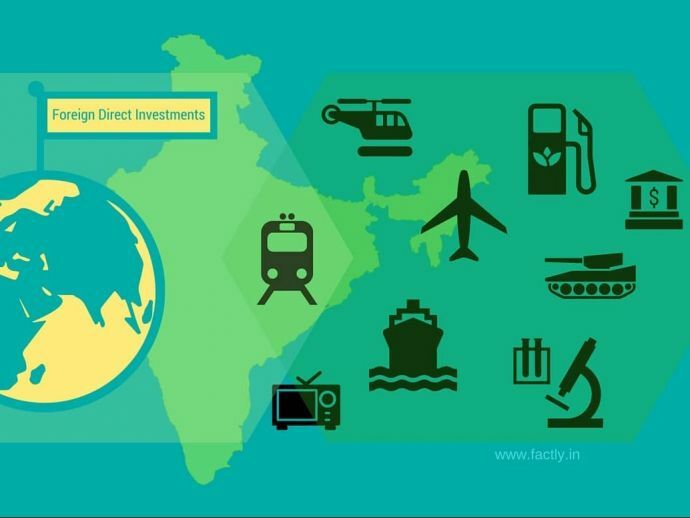 For the first half of the present financial year, India received a total sum of $21.62 billion in FDI, according to data released by Department Of Industrial Policy and Promotion. Other major sources of investments are from Singapore, US, UK and Netherlands. The service sector topped the chart as it received nearly 18 percent of the total FDI inflows. It was followed by construction and development, computer software and hardware, telecommunication and automobile sectors. Industrial bodies like Federation of Indian Chamber of Commerce and Industry (FICCI) and Confederation of Indian Industry (CII) have reacted positively to the news and said India is being recognised as dynamic and safe by the global investors. FICCI said that global investors are looking towards India because of the recent liberalisation of FDI policies by the government and due to various major and important national development programs launched by the government like Make in India, Digital India and Skill India. FICCI president Harshvardhan Neotia said, “We see this trend of increasing inflows further strengthening in the coming years”. CII said that the country will continue to remain as one of the most appealing global destinations for investments in near future since the FDI inflows has consistently and significantly improved in last 2 years. CII, in a statement, said, “Global investor sentiment is positive about India being a safe investment haven, despite the global economic climate remaining uncertain”.